February, the month of chocolate and hearts. I have shared recipes that have reduced fat content. The two beef recipes are recipes from the American Heart Association. 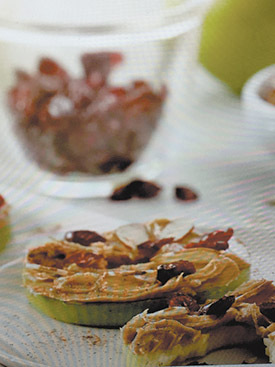 The apple snack is from the Eating Healthy Snacks Guide. Sprinkle chocolate wafer crumbs in bottom of a 7-inch springform pan. Set aside. Cream together cream cheese, sugar, cottage cheese, cocoa, flour, amaretto, vanilla extract and salt. Continue creaming together until smooth. Stir in egg and mix until well blended. Fold in chocolate morsels. Slowly pour mixture over crumbs in pan. Bake at 300 degrees for 65 to 70 minutes until cheesecake is set. Let cool on wire rack. Cover and chill for at least 8 hours. vegetable peeler across the chocolate and transfer the curls to a plate. May store curls in the freezer. 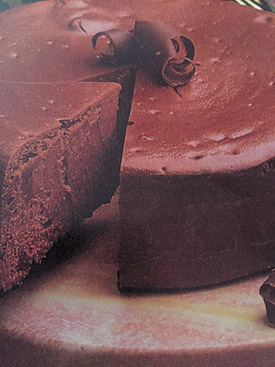 To make Chocolate Mint Cheesecake, substitute creme de menthe for amaretto. Remove sides of pan, transfer cheesecake to serving platter. Garnish with chocolate curls. To make chocolate curls, melt 3 squares semisweet chocolate. Pour the melted chocolate onto wax paper and spread to a 3-inch-wide strip. Let stand until cool but not yet firm. Pull a vegetable peeler across the chocolate and transfer the curls to a plate. May store curls in the freezer. Preheat oven to 400°F. Combine ground beef, zucchini, egg, salt and pepper in medium bowl, mixing lightly, but thoroughly. Shape into 24 meatballs. Alternately thread meatballs, red peppers, green peppers and onions onto each of twelve 6-inch skewers. 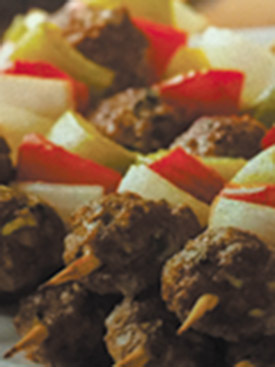 Bake in 400°F oven 22 to 25 minutes or until instant-read thermometer inserted into center of meatball registers 160°F. Meanwhile, prepare cranberry barbecue sauce. Combine sauces in a medium saucepan. Simmer for 5 minutes. Stir to blend well. Drizzle over the skewers or use a dipping sauce. Mix water and lemon juice in a large bowl. Set aside. Core apples. Trim top and bottom of each apple. Cut each apple crosswise into 6 rounds. Place rounds in lemon water to prevent browning. Dry 2 or 3 apple rounds at a time with paper towels. Spread each round with about 1 teaspoon peanut butter, some almonds and 4 to 5 cranberries. Sprinkle with cinnamon. Serve and enjoy. Heat large nonstick skillet over medium heat until hot. Add ground beef; cook 8 to 10 minutes, breaking into 3/4 inch crumbles. cook 2 minutes. Remove skillet from heat; keep warm. Place salad greens on four plates. Divide the meat mixture among the 4 plates. Top beef with the cheese, tomato, pepper and onion. Garnish with olives and small amount of low-fat sour cream, if desired. 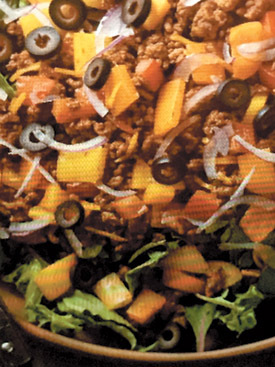 Some additional ideas: add a can of drained fiesta corn or a can of drained and rinsed pinto, black or red beans. These can be added to meat mixture and heated through or at the same time you add tomatoes, peppers and onions.